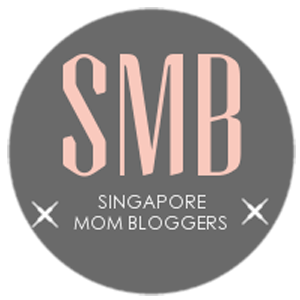 When you have a child in his/her last year in primary school and will be sitting for the national Primary School Leaving Exam (PSLE) at the end of the year, you automatically become a PSLE mom. My second child is sitting for her PSLE this year and I am a bundle of nerves as much as, if not more than, the first time. I am going to be frank. I value education highly (like any parent) and I WANT my kids to go to good schools. And in order for them to get into a good school, they need good grades. I know there’s been a lot of talk about PSLE grades being not so important. BUT secretly, I still want them to get GOOD grades to get into a GOOD school. Crazy right? But there. I’ve said it. I am not so secretive when I communicate my wish to my children. Luckily, they are on the same page as me. And we have made a pact to study together and do everything we can to help them get the grades they need to get into a good secondary school. Do I wish that there isn’t PSLE? Yes. Do I wish that our children can sit for national exams later, like when they are 14-years-old as in the case of India? Definitely yes. But all these are wishful thinking, because my child has to sit for the national exam, like TODAY. If the entry criteria to secondary schools for my child is based on her high level of cheerfulness, wonderful sense of humor and friendly demeanor, then I guess she will ace it. Unfortunately for her (or me), at the ripe old age of 12 (technically, she is still 11 at the time of this post), she has still not found her groove yet. And we do not wish to subject her to a contractual bind for the next four years by applying for direct school admission (DSA). So, I guess for us, it is back to the grind to make sure she gets good grades. The entry criteria to any good secondary schools fall between an aggregate score of 230 to 250. You can check the annual admission guide to secondary schools published by the Ministry of Education (MOE) that is given out to every student in the local schools. So, for my child to meet the current admission criteria, she will need to score between 75% to 85% and higher for each of her subjects – English, Mathematics, Science and Chinese. For those of you coaching your kids in these subjects, you know it is absolutely achievable (with a lot of practices). Your child’s Personality — Some kids are more motivated to do well on their own while MOST kids need our parental nudging towards the study tables. Your child’s Willingness to Cooperate — When their temperamental tween will kicks in, sometimes getting them to cooperate with you on their studies can be a challenge. Your child’s Stress Management — Some kids, like my second child, have exam anxieties. She performs well in all her tests at home, but the minute she sits for the real one, all bets are off. I never know what her grades will be till she comes home with the results. NOW you know why I am such a bundle of nerves. At the end of the day, they can only do their best and try. Whatever grades they receive, I make sure my kids know that I love them to bits. They understand that I am only human and when I receive disappointing results, I might fly into a tirade for a day (or two). Then I will calm down and return to my usual loving mommy self. And then, we move on to the next big National exam and try again. If you find this article useful, show us some love by sharing it. And let us know how you feel about grades in the comments below. Connect with us on Facebook, Instagram, or Twitter for more reviews, updates and quirky opinions.